The privately owned companies - Swisher International Inc, Cheyenne International LLC, Prime Time International Co and Southern Cross Tobacco Co Inc — are selling the products under brands such as "Swisher Sweets", "Cheyenne", "Prime Time" and "Criss-Cross" in youth-appealing flavors such as grape, wild cherry and strawberry, the FDA said. We don’t know what the long term effects of these products will be, but there is likely to be some harm associated with their use. E-cigarettes aren’t 100% safe. But very few of the things we do each day, or the products we buy, carry no risk at all. This is the nature of harm reduction. The researchers followed 5,131 men who were about 49 years old, on average, and cancer-free when the study began. All of the participants underwent VO2 Max tests along with regular physical examinations at that time. Durvalumab is being tested on its own and in combination with another immune system-boosting drug called tremelimumab in various cancers, including lung cancer, which represents the biggest market. PV-10 is an injectable formulation of Rose Bengal that is being studied as an ablative immunotherapy for solid-tumor cancers. Provectus has received FDA orphan drug designations for PV-10 covering melanoma and hepatocellular carcinoma indications. The company said in a short statement that after discussions with the FDA it had decided to terminate the BI-505 trial, which was being conducted in a specific population of multiple myeloma patients undergoing autologous stem cell transplantation with high-dose melphalan. AstraZeneca made an odd move this morning for a Big Pharma company. It halted trading in its shares to announce that the FDA has accepted its BLA for marketing its PD-L1 checkpoint inhibitor durvalumab against bladder cancer. That’s a small biotech kind of move aimed at gaining everyone’s attention, but it’s understandable in AstraZeneca’s case. The revision updates the previous version released in March, which clarified the agency's expectations for the data required to submit for publishing under the agency's clinical trial transparency rules. This new approval for daratumumab follows more than a decade of substantial progress against multiple myeloma. The overall survival rate for this cancer has doubled since the mid-1970s, due largely to the use of autologous stem cell transplants and, more recently, the introduction of lenalidomide and bortezomib. Miller believes many value-based deals are falling apart due to nonadherence. The administrative costs that come with adjudicating these issues cancel out anticipated savings, he said. Previous results from the IBIS-1 trial showed that tamoxifen reduces the incidence of breast cancer among women at a high risk of the disease by over 30 per cent. These preventive effects last for more than 20 years. However, a third of women on the trial did not continue with treatment for the recommended five years. Presentations at 2016 CTRC-AACR San Antonio Breast Cancer Symposium (SABCS) Highlight Unique Value of Oncotype DX in Tailoring Treatment Across the Breast Cancer Patient Journey. The prospective single-center study enrolled 34 women with early-stage (stage I, II, III) triple negative (23 patients) or HER-2 positive (11 patients) breast cancer. 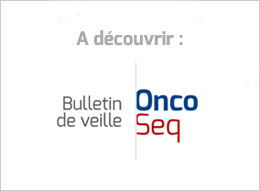 SGN-LIV1A Monotherapy Data Show 37 Percent Objective Response Rate in Heavily Pretreated Patients with Triple Negative Metastatic Breast Cancer. A key finding was that EndoPredict® (EPclin), a second-generation test, was superior to Oncotype Dx™ (RS), a first-generation test, in predicting the long-term recurrence of breast cancer. LEE011 (ribociclib) is a selective cyclin dependent kinase inhibitor, a class of drugs that help slow the progression of cancer by inhibiting two proteins called cyclin dependent kinase 4 and 6 (CDK4/6). Manufacturer is now seeking FDA clearance. Blaes said her study’s results indicate that physicians should consider the risk of reduced endothelial function and potential cardiovascular damage, and should communicate the risks and benefits clearly to patients. The degree of concordance varied depending on the type of breast cancer. Somashekhar said WFO recommendations were concordant nearly 80 percent of the time in non-metastatic disease, but only 45 percent of the time in metastatic cases. South Korea, parts of Latin America are exceptions. A study of nearly 10,000 patients also found that socially isolated women had a 40 per cent greater chance of the condition returning. ASCO urges Congress to work together to pass a full Fiscal Year 2017 funding bill to give NIH the stability it needs to continue its work. In all the horrified talk – and some of the horror would be justified – it’s worth remembering that the FDA’s mandate to consider efficacy and safety is not up to the desires of any one commissioner or administration. It’s part of the legislation establishing the entire agency. If Trump chooses to appoint a different director in 2017, the process could take between one to two years—or more—to complete. The presidential cabinet positions are always filled first. Collins said he had not yet been asked to stay. He said that if that call did not come, he would would likely return to the NIH lab he previously led, not far from his current headquarters on the campus in Bethesda, Md. The former smoker was diagnosed with lung cancer that had spread to his neck and pancreas, with tumours that were inoperable and unsuitable for radiotherapy, after noticing his health failing in the autumn. In an addendum to the article in the magazine, the Sunday Times confirmed that since finishing the piece, Gill had started taking the drug, known as Nivolumab. Losses for the first two months of fiscal year 2017 add up to $102.4 million, and the institution’s executives are scrambling to cut costs, boost revenues, and shore up faculty morale. Much of what is lumped together as “the placebo effect” include study artifact that has little or no bearing on real world outcomes and/or modulation of the patient’s perception of his symptoms.